I was honored to be one of the keynote speakers recently at Doreen Penner‘s women’s conference, and was doubly blessed coming back on the way home, traveling by train through the Canadian and the U.S. Rockies. 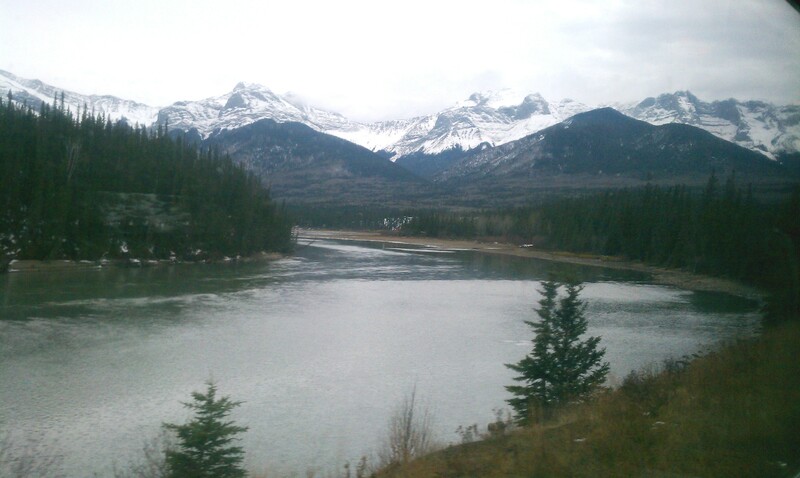 This is part 10 of my Canada Trip Blog Series, Pics of Breathtaking Canadian Rockies. You can read part 9 of the Canada Trip Blog Series here. When I booked my flight for Canada, God told me to take the train coming back home to Kansas City. I am so glad and thankful to God that I did this! What an adventure! I will never forget this trip. Through the Rockies, I saw some of the most incredible scenery I’ve ever seen in my life. Pictures and words can’t really convey the beauty of the land. 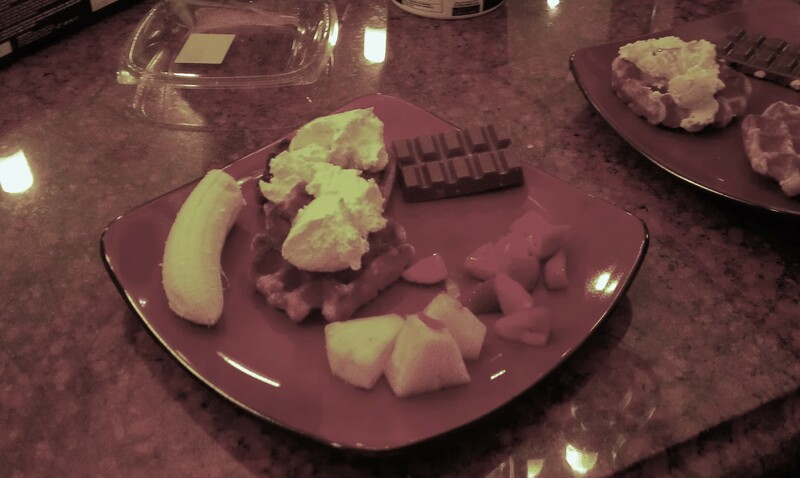 The morning of my departure from Canada, my hostess Helen Reimer made me a breakfast feast: waffles with creamy butter and syrup, yogurt with granola and fresh blueberries, and a large milk chocolate bar with almonds. It was delicious! 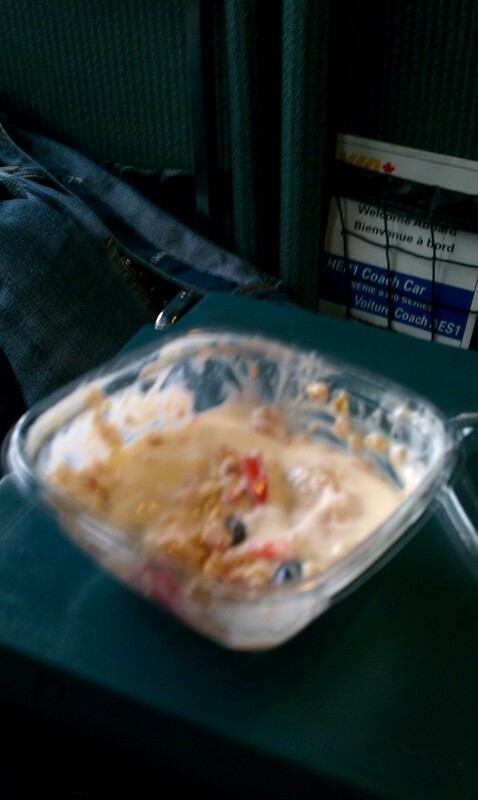 Helen said, “My eyes are bigger than my stomach!” I said, “Me, too!” and took the container of yogurt, granola, and blueberries and the chocolate bar with me on the train for a snack later. 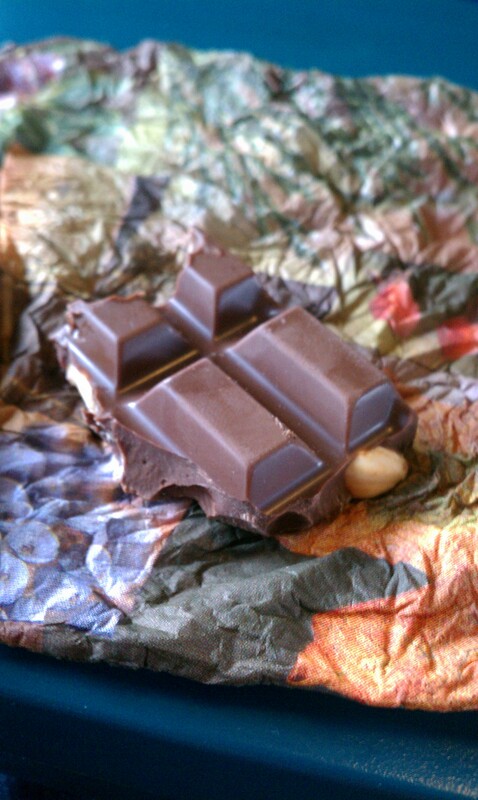 Chocolate is good any time! Helen also packed me some fresh fruit to take on the train. Meals on the train are expensive, costing from $15 to $28 each. I did enjoy one meal on the train. For the rest of my meals, I bought groceries. 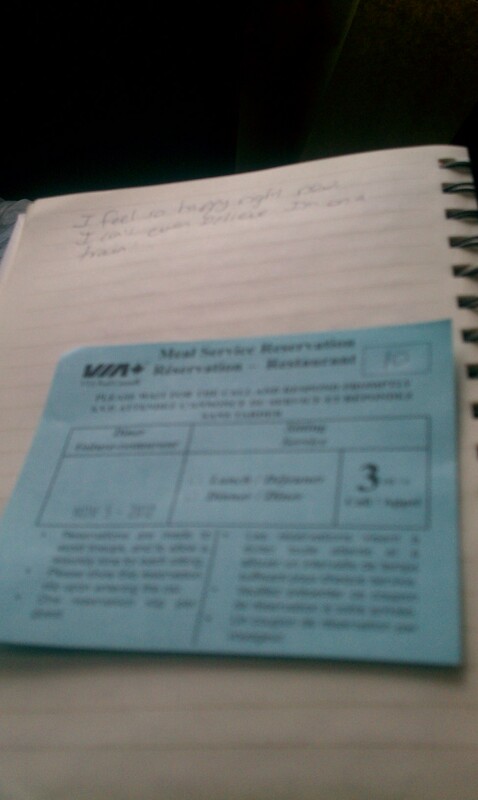 To eat in the dining car, you have to tell the staff person and they give you a blue meal reservation ticket like the one below. 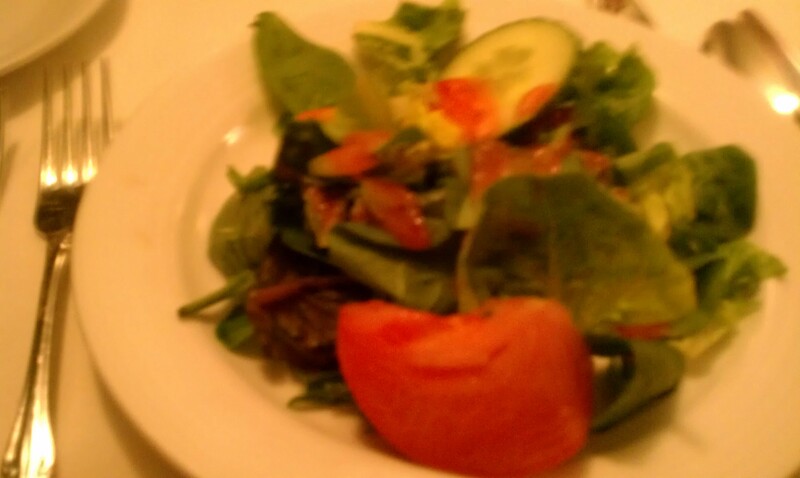 When your time is called for dinner, you go to the dining car. 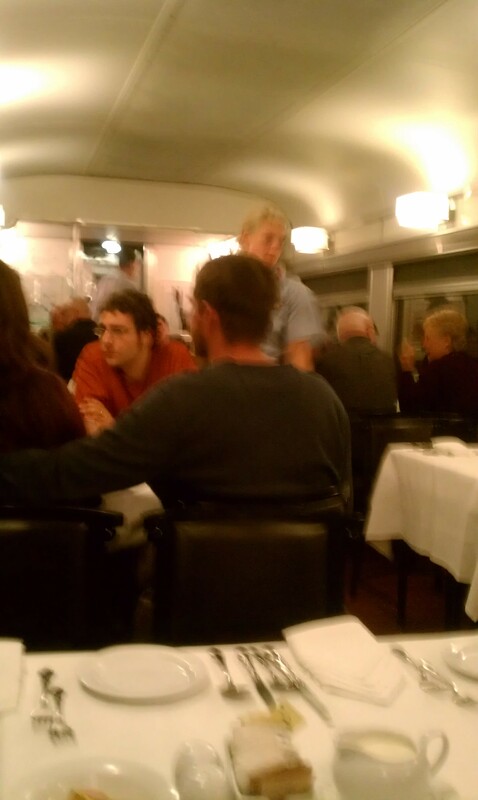 The dining car is like a nice restaurant with a formal table setting. There are four to a table in the dining car, so you will wind up eating with strangers. 🙂 You are served warm bread with a choice of salad or soup before your main course. 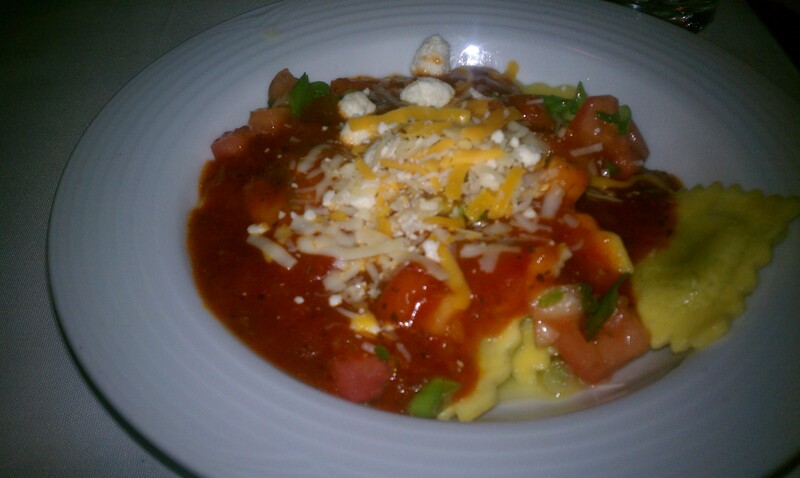 For my main course, I ordered lasagne, which was amazing with its spices. Do I talk about food a lot on my blog? 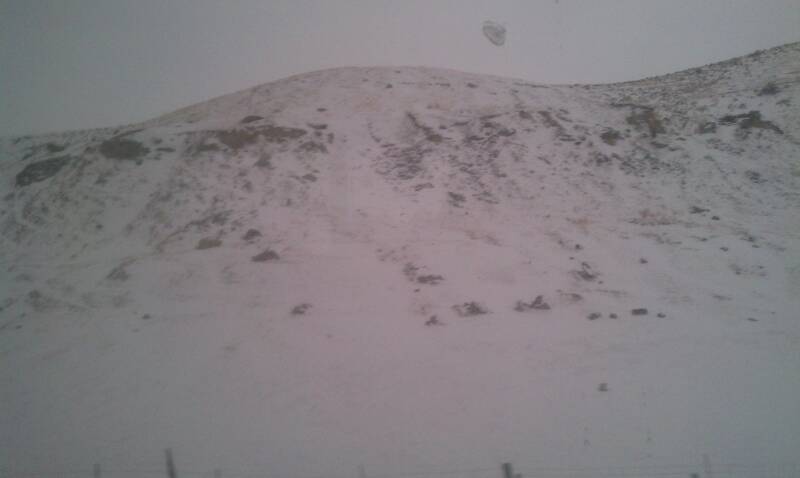 We WILL get to the Rockies in a minute! 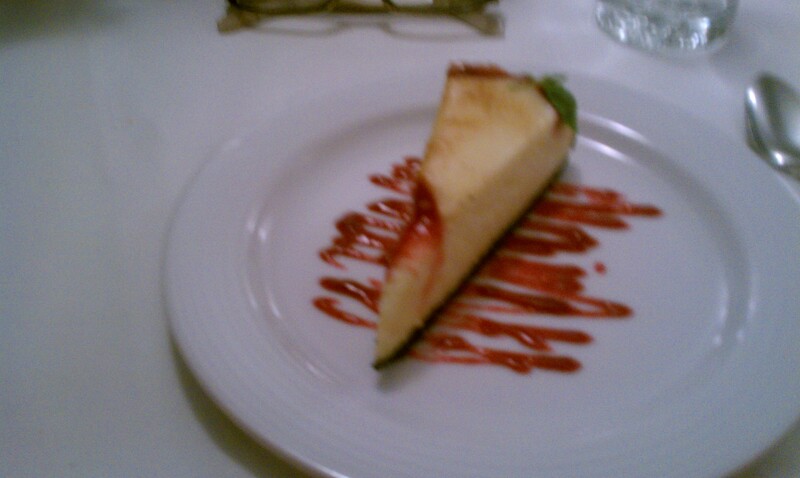 For dessert, there was cheesecake or other sweet cakes. YUM! 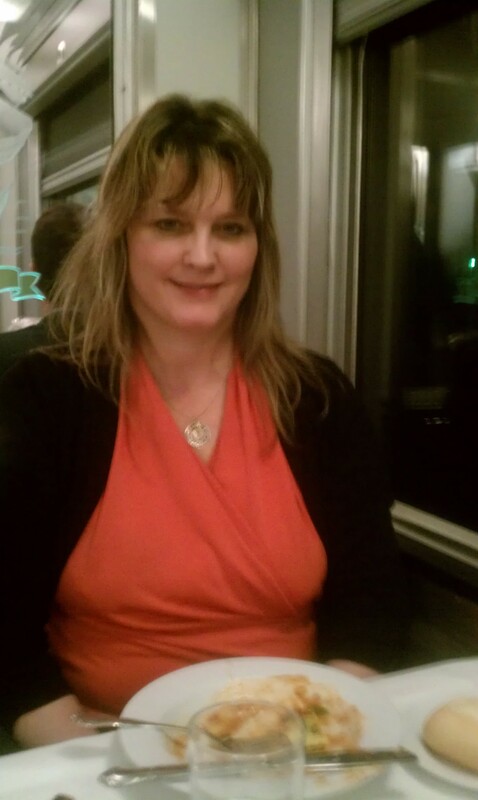 Here I am after my dinner in the dining car, deeply satisfied after the delicious meal. Eating on a train was one of the things on my bucket list – now checked off! One of the passengers at the table, a friendly Asian man, gladly took the picture of proof for me. One of the things on my bucket list checked off! 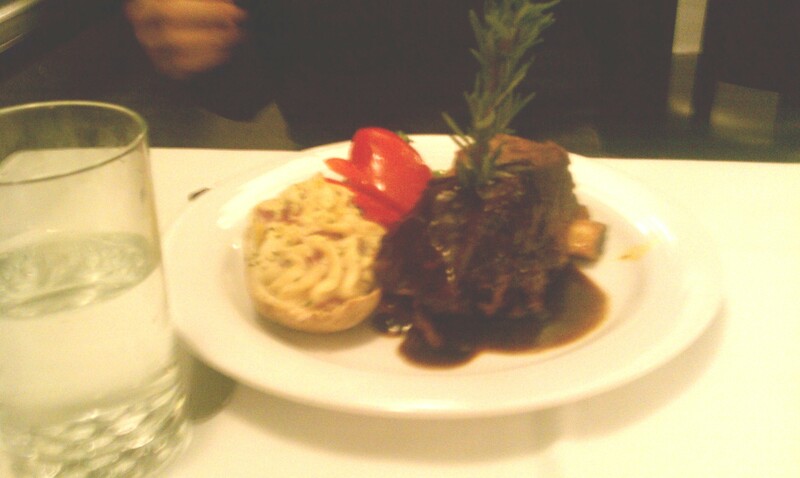 He ordered the rack of lamb. That looked good, too. Maybe next time! That was my one nice meal on the train. 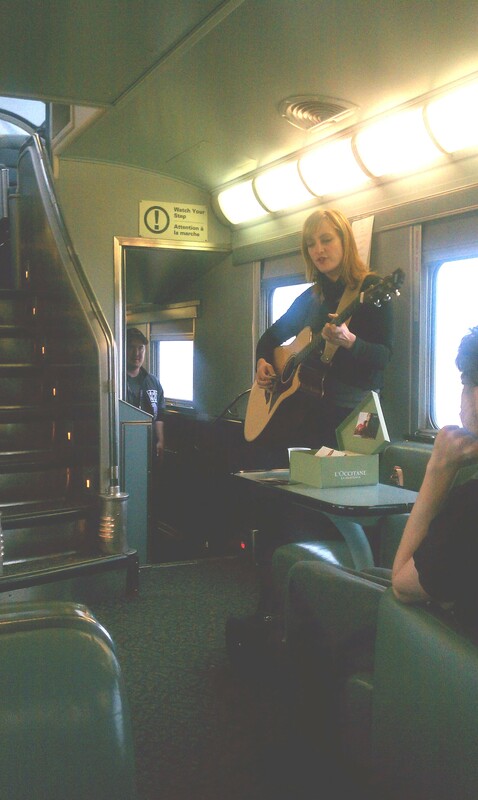 Next time, I hope to eat more in the dining car! The ride itself was amazing. Canada has so much open land, used a lot for farmland. Missouri has been in a terrible drought through the summer of 2012 and all the grass died and turned yellow, so the emerald green grass in parts of Canada looked beautiful. 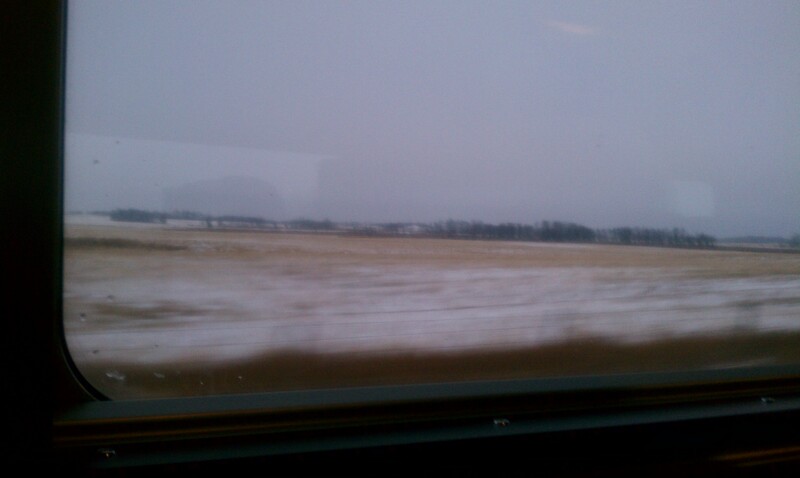 We also passed some yellow fields, like Missouri has a lot of right now. It was chilly when I left Winnepeg, Canada. 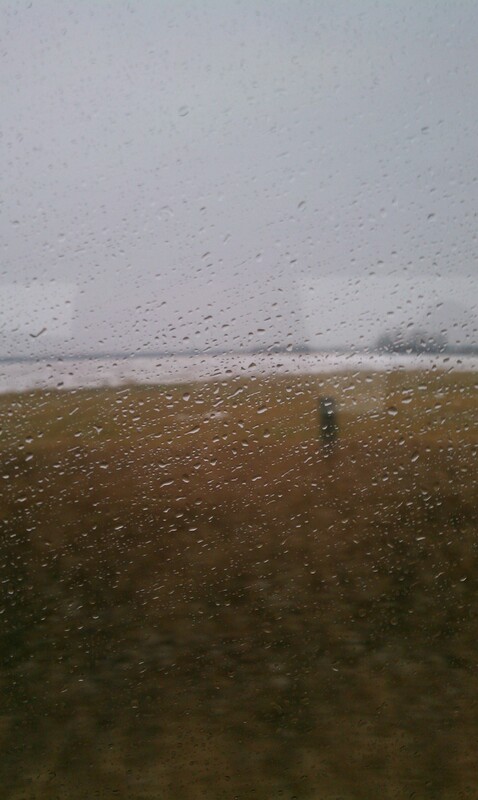 As the train rolled on, it began softly raining. I thought the rain looked pretty outside the window. 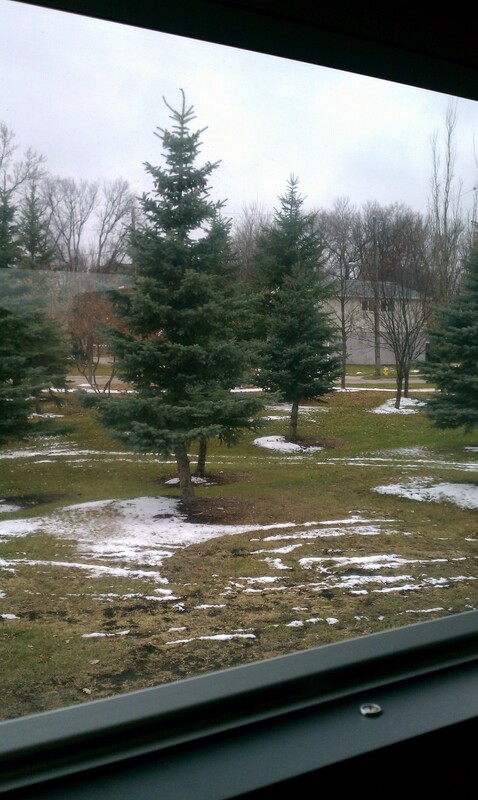 We began encountering snow and ice. 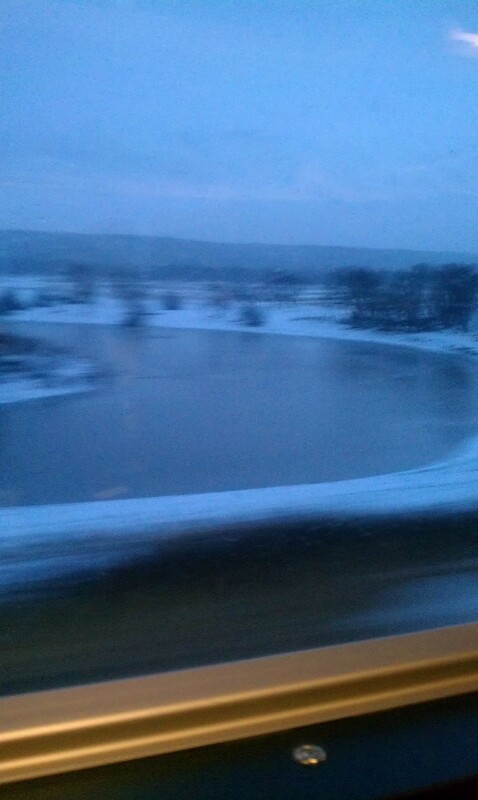 Below is one of the frozen lakes. These were everywhere throughout the Rockies. Dusk came. For some reason, the picture I took has a pretty blue hue, and I liked it so I didn’t photoshop it. At night it’s really dark outside the windows. You can’t see anything. You can dine in the dining car or get a snack in the shop, read, walk up and down the aisles in the train, talk to the other passengers, pray, write, sleep, do whatever you want. 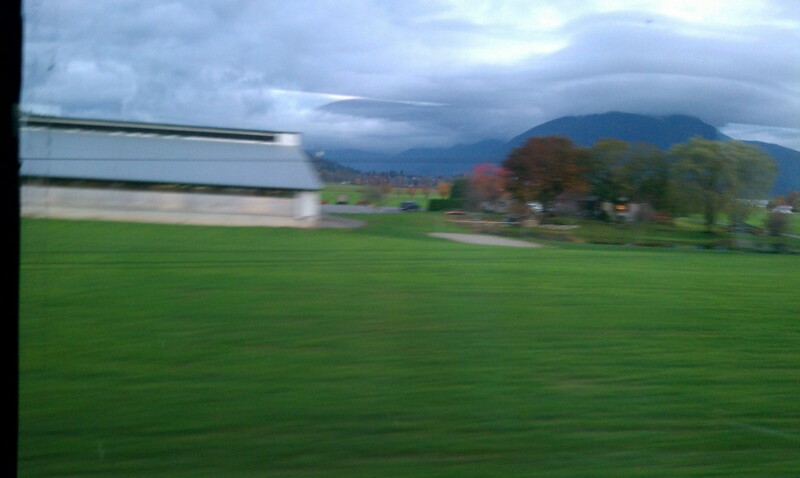 For the most part, it is very relaxing to ride on the train. It’s quiet and it takes longer to get to your destination than in a car or on a plane. As “the angel” said, it gives you time to think about what is right and wrong about your life and to hear God’s voice. Surprisingly, I slept well that night on the train. 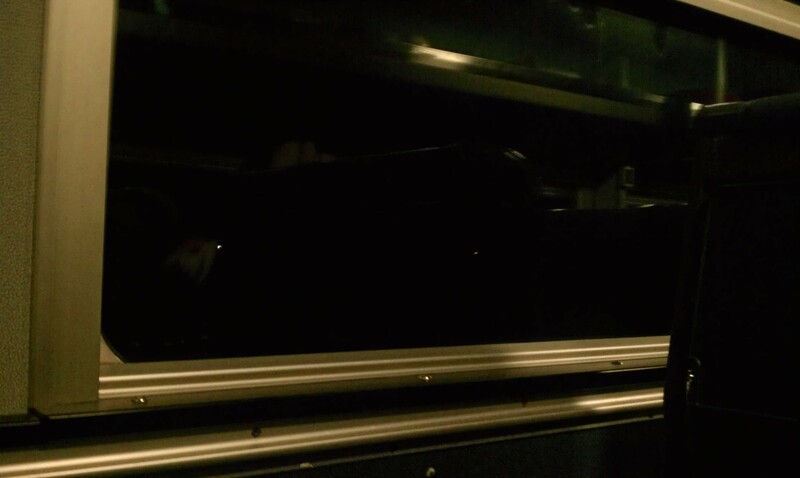 I have a lot of problems with insomnia, but the sound of the train whistle and the movement of the wheels comforted me and lulled me to sleep. 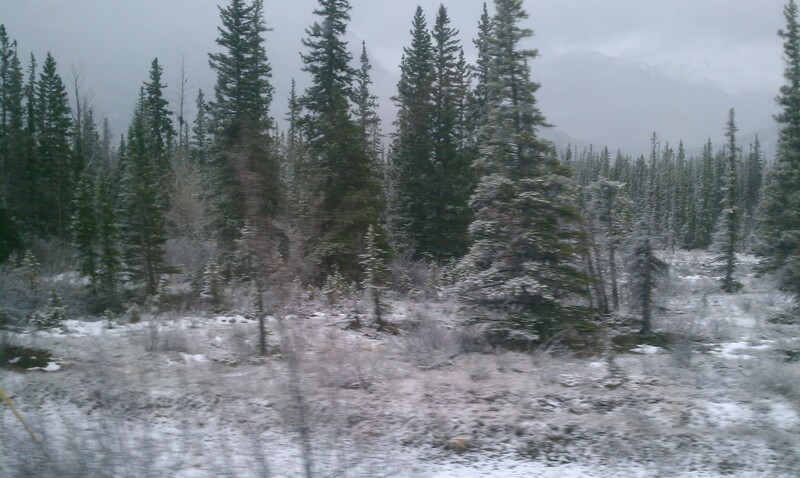 We were going into the gateway into the Rockies, Hinton. 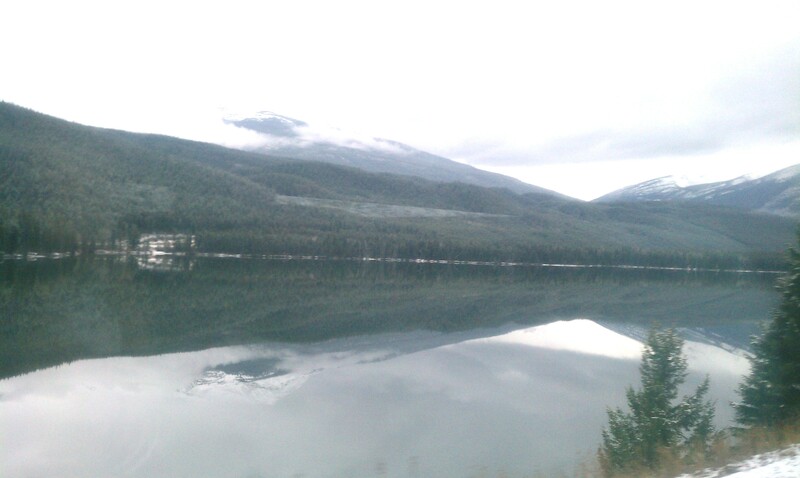 Our next stop was Jasper. Jasper was one of the longest stops we had on the train. 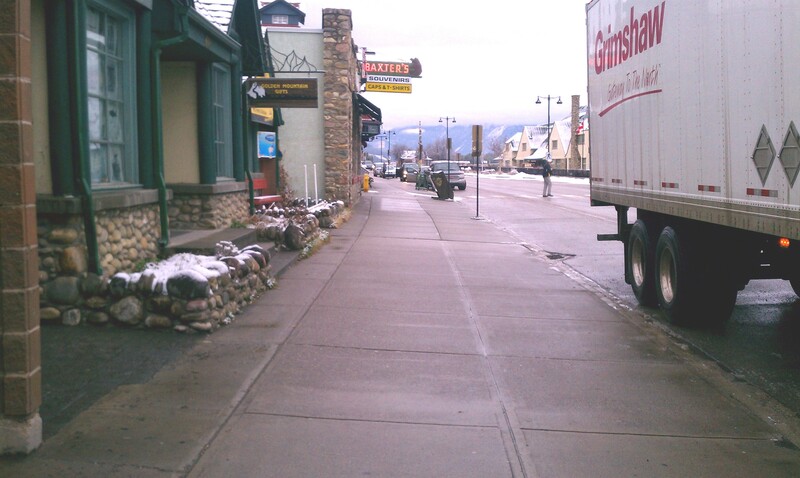 Jasper is the commercial center of Jasper National Park. It lies between the Victoria Cross Ranges (northwest), Pyramid Mountain (north), Maligne Range (southeaster), and Indian Ridge (southwest). 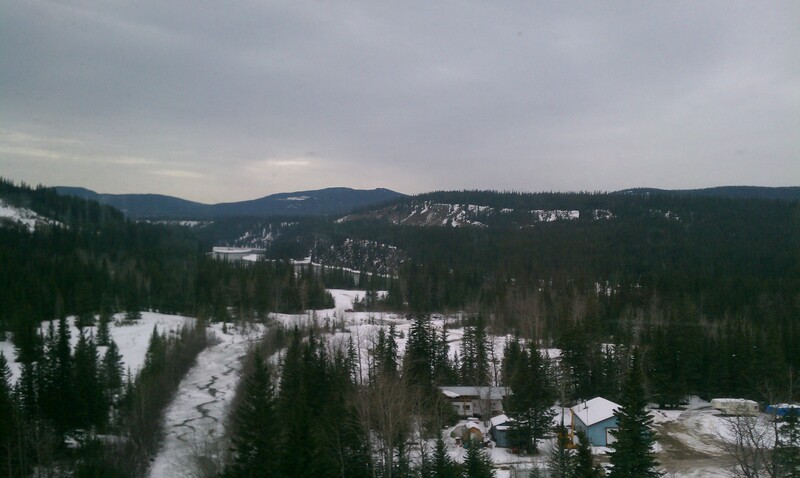 Jasper is connected to the west via the Yellowhead Highway and the Yellowhead Pass to Prince George and to the east to Edmonton. In the Jasper National Park, you can see elk, sheep, mountain goats, bears, and many other wildlife. I saw a beautiful, big, black wolf standing in the middle of the road and a herd of big horned sheep with curled horns. This was the first time I’d ever seen a wolf or big horned sheep in person. 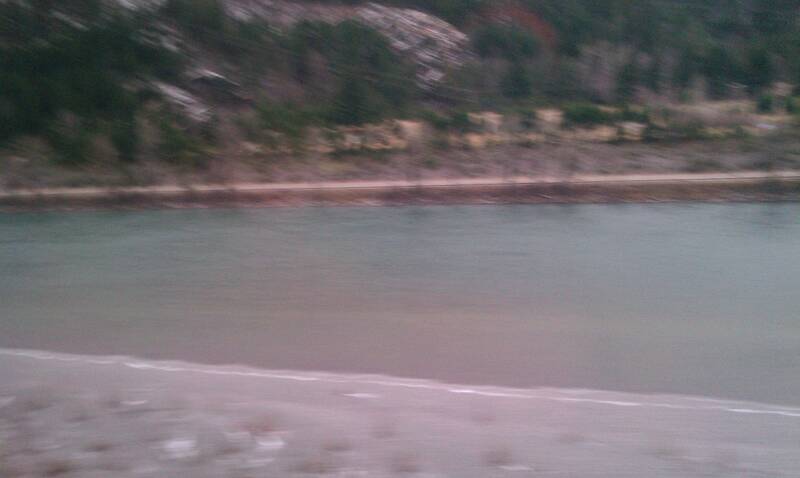 Unfortunately, the train was going too fast for me to get a good pic! Below is a pic of the mountains where I saw the big horned sheep. 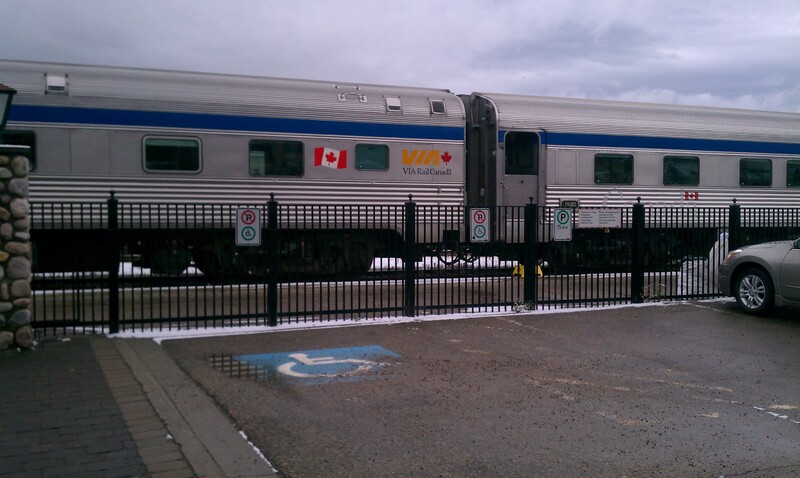 When we arrived in Jasper, everyone deboarded for lunch. I hadn’t had much to eat at all since my meal in the dining car, and was so thankful for this stop. In Jasper, I ate at an A & W and oh, it was good! 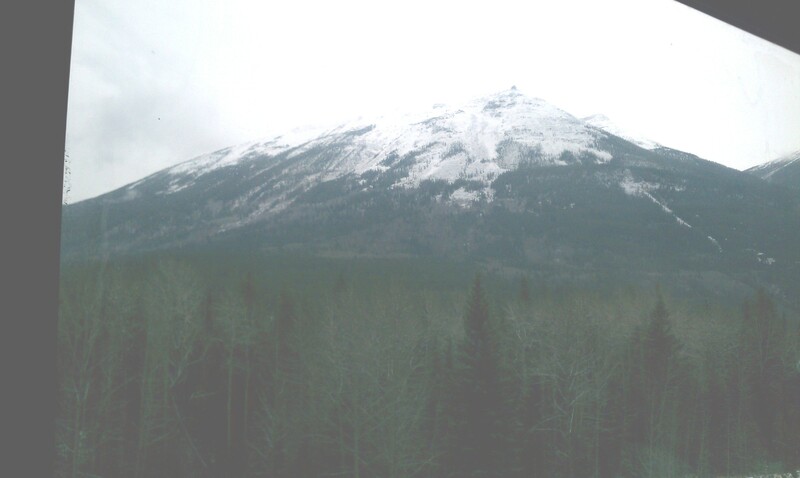 Below is a mountain in Jasper. 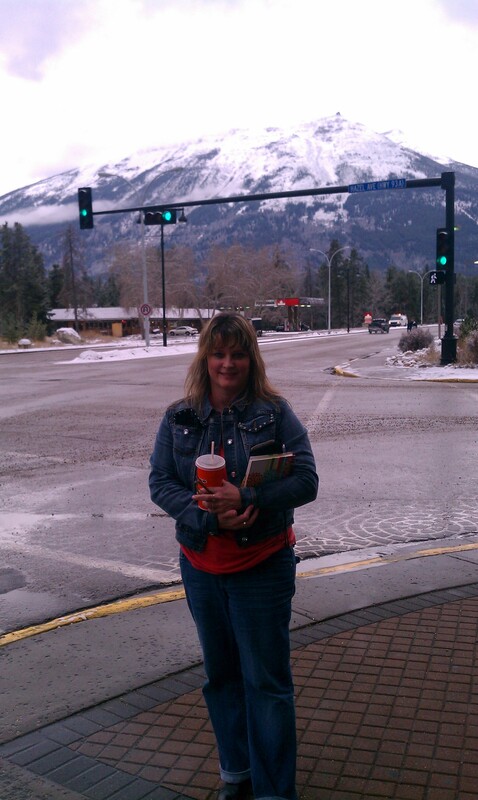 Before eating my lunch, I asked a random man walking by on the sidewalk to please take my pic in front of the mountain in Jasper. 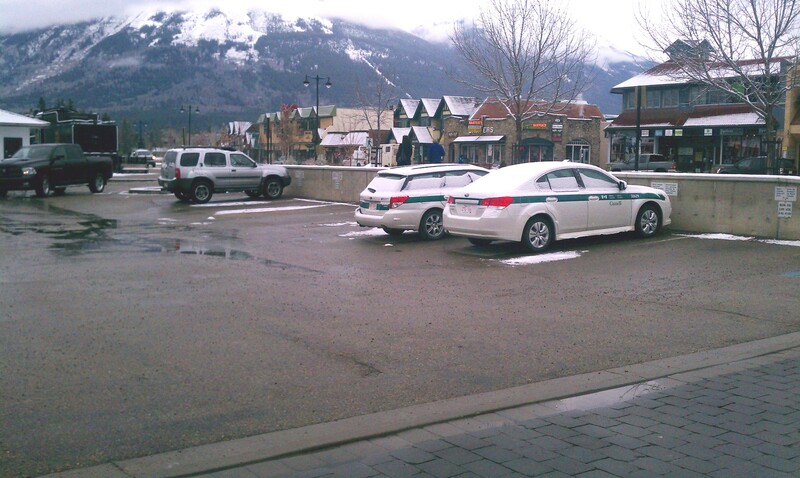 Jasper also had souvenir shops and restaurants. I wanted to stay here longer to explore. We were only there 1 1/2 hours. 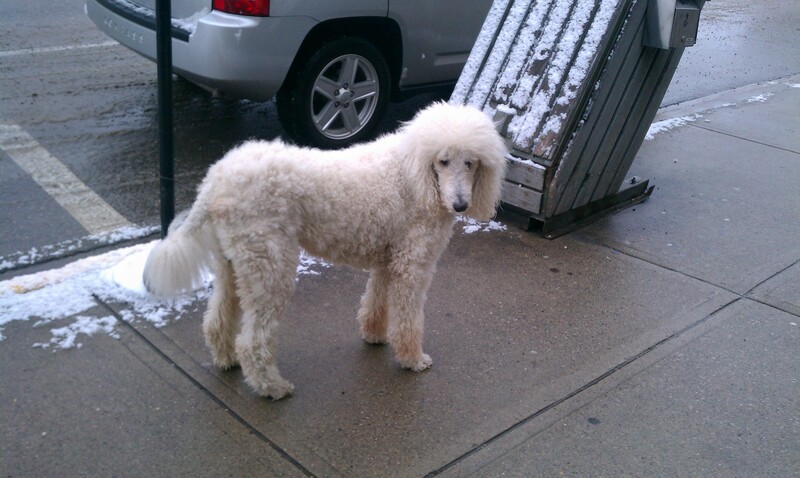 A couple left this big white, poodle dog outside a store. Ray and I do NOT like poodles, but this pic is for all you dog lovers. 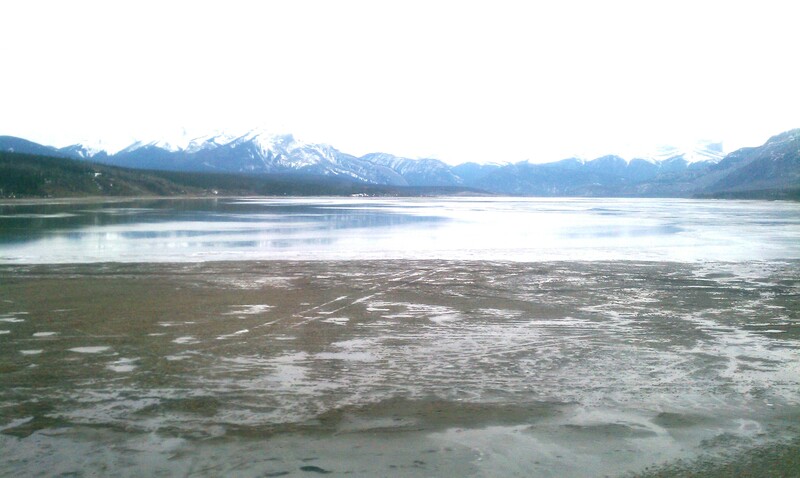 Via Train in Jasper. I didn’t want to get too far away from the train, so I stayed pretty close by. The train WILL leave you if you don’t board on time. The “angel” told me one funny story about this. A man got off at a stop that wasn’t very long. He was hungry and went to get a hamburger at a place nearby. But it took longer than he expected, and the train left him. He paid a cabdriver $100 to catch up with the train to get back on it. Then he winded up leaving the hamburger in the cab! What an expensive hamburger, and he didn’t even get to enjoy it! After we left Jasper, I listened to a self-taught musician/singer named Angela Saini play her guitar and sing in one of the cabs for entertainment. I loved her song Little Black Dress, which was about there being so much more to life than you’re living now and breaking the chains which hold you back from all you’re meant to be. This song filled my eyes with tears. 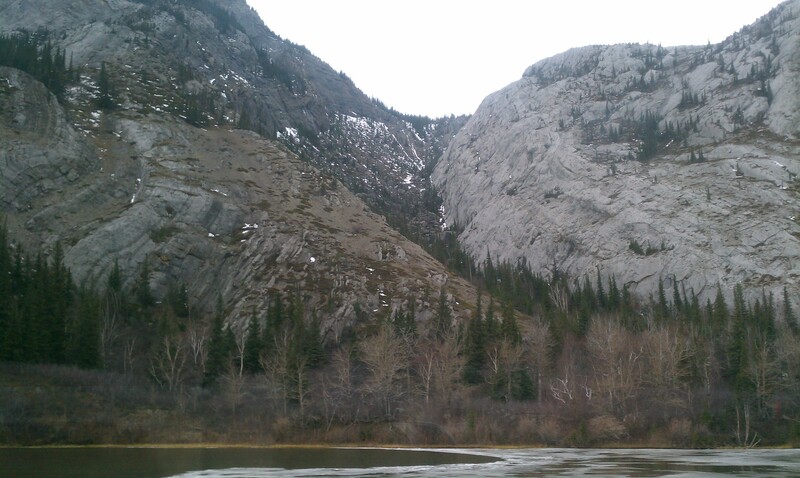 Below are some of the cliffs you see when you begin getting close to the Rockies in Canada. Below are the Rockies in the distance. 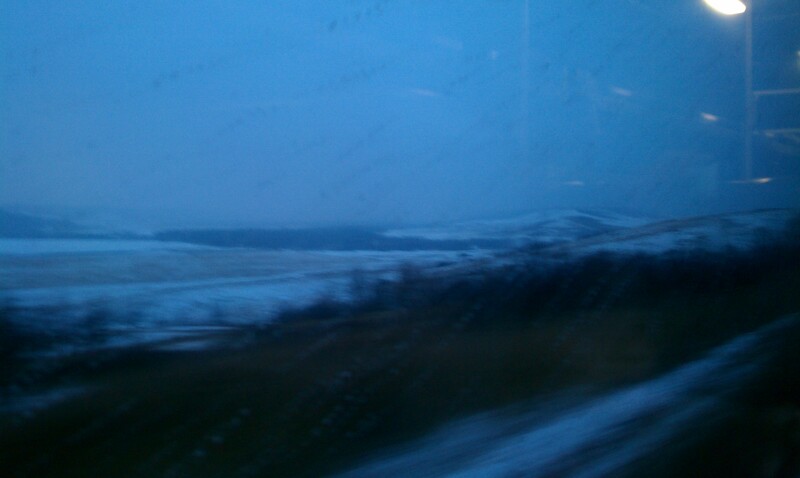 Getting closer to the mountains. Beautiful blue and white peaks of the Canadian Rockies. I can’t really convey to you the awe I felt looking at these mountains. You are just left speechless. This pic below is postcard beautiful. 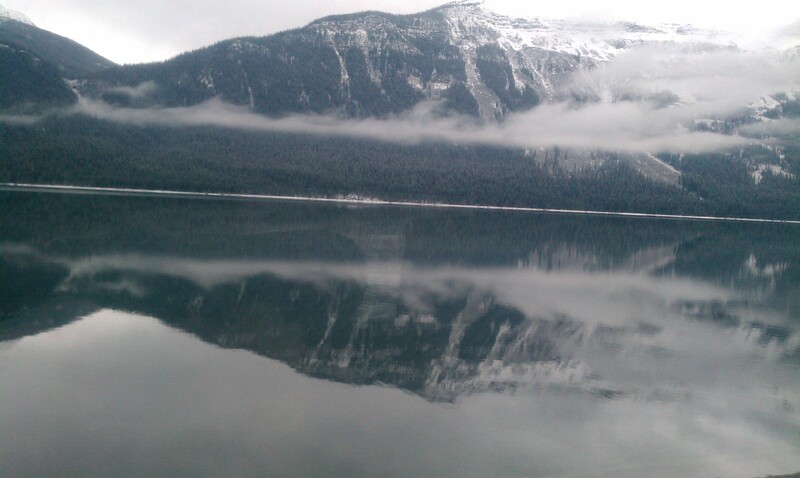 You can see the reflection of the mountains in the water. I wanted to show Leah this picture so she could study it and maybe draw or paint it. 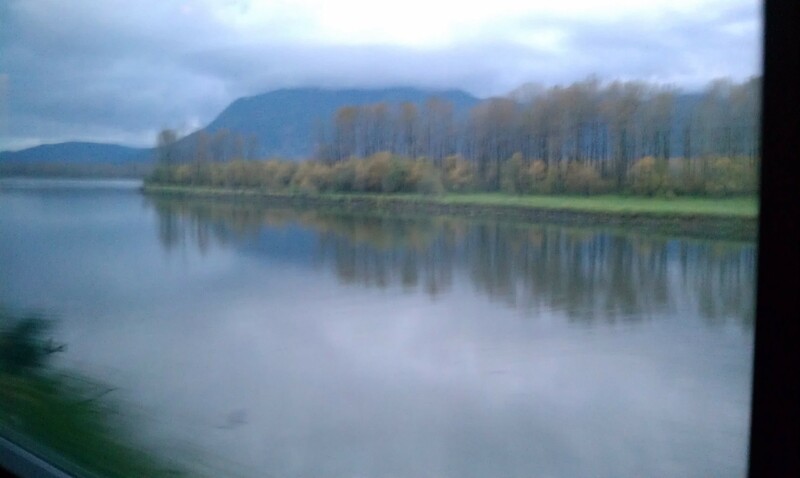 Here are some trees reflected in the water, too. God is such an incredible painter! 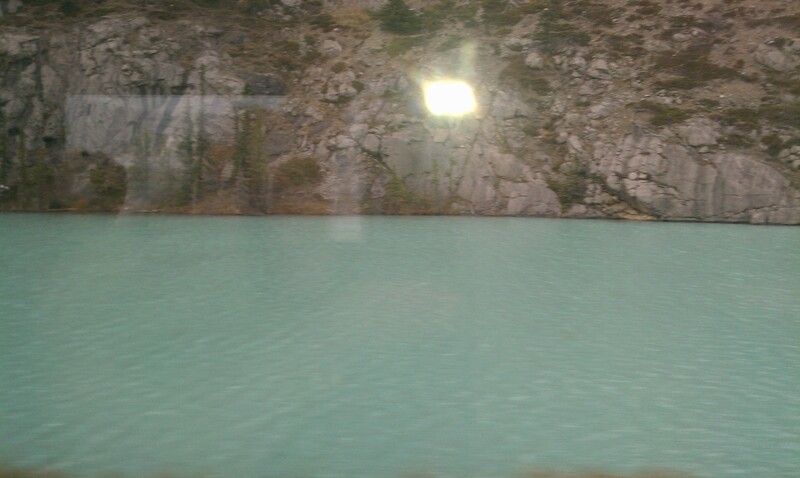 One of the most beautiful areas I saw on the train was British Columbia, where there was aqua, green-blue lakes and the beautiful Pyramid waterfalls. The “angel” had told me about the three Pyramid waterfalls right before we drove by them. They are 300 feet high. It was getting dark and I didn’t want to miss seeing them with my own eyes, so I didn’t get a picture. 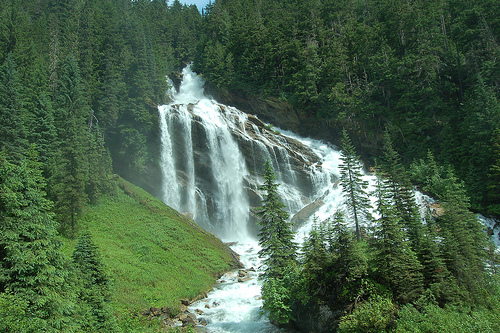 But here is a picture I found online of the falls. Below is a pic of one of the beautiful aqua lakes in the national park. You can see the exquisite aqua water better here. 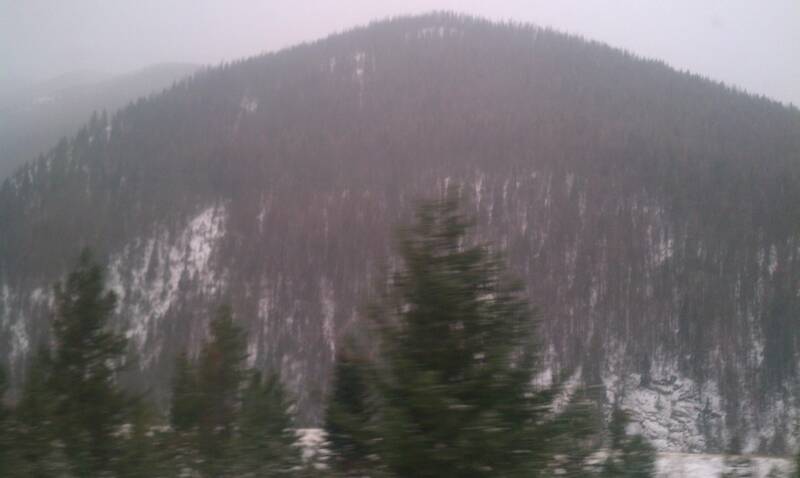 There are a lot of pine trees in the Rockies. They stand tall, regal. 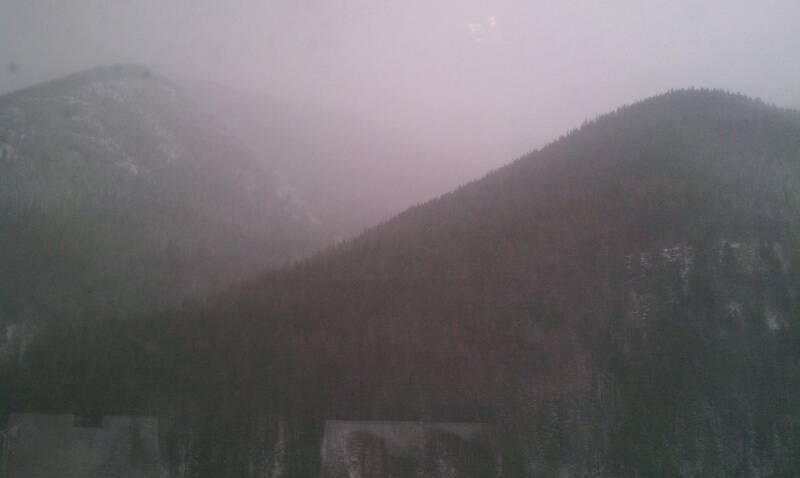 In the higher mountains, the pine trees are covered with a coat of snow. 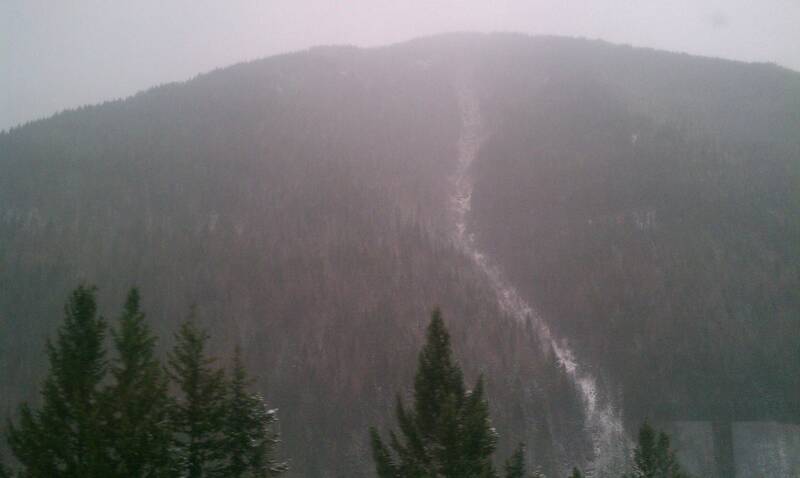 I loved this pic below of a mountain with a snowy river coming down it. How great is our God! 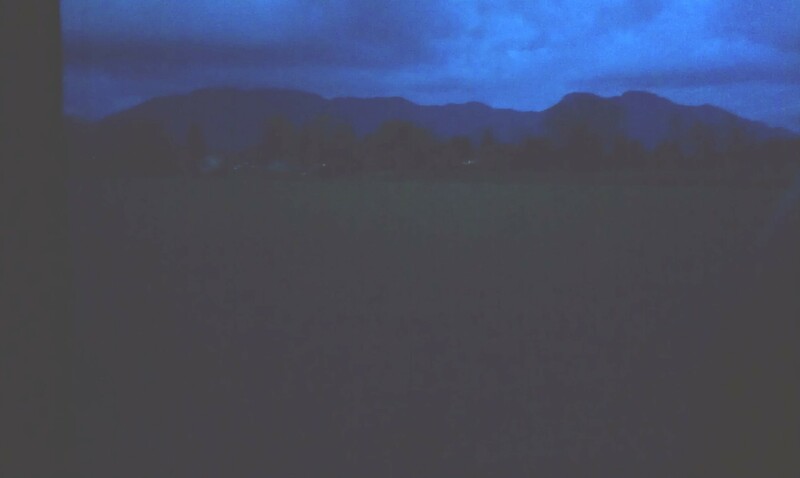 Last, here’s one of my fave pics, the Rockies at dusk. Stay tuned for more pics of Canada in part 11 of my Canada Trip Blog Series. Are you enjoying the blogs and pictures? Please leave your comments below.